How many times have you seen the spinning beachball lately while browsing Safari on your Mac? For example, Safari is slow loading pages, it stops loading halfway with text strewn across the screen and images in the wrong place. Or some webpages are loading forever before you’re able to actually read the content. All of these behaviors are typical symptoms related to Apple’s signature Internet browser. While Safari is a light-weighted browser optimized for use on all Mac machines, issues like above might force you to resort to third-party browsers (perhaps Chrome, stay away from Firefox) that tend to be faster. But for those of you who are real fans of Apple and decide to stick to Safari, we’re going to help you get to the root of your Safari issues in this guide, starting with the possible reasons why Safari is slow. Hopefully you’ll have Safari back to normal in no time, and be able to use the browser flawlessly. It’s normal for Safari to run slow on certain websites – By certain websites, we mean “heavy” sites that are loaded with flash or video ads on the pages you browse. Worse yet, some even auto-play without you clicking on. They tend to have your MacBook heat up quick. The best option is to close those pages immediately when you finish reading the content on it, or you could install AdBlock Plus (Safari compatible) to block the ads from displaying. Stop excessively multitasking – You’d be surprised how much better 90% of programs work when you don’t try and use them at the same time as a dozen other apps. It seems like a simple solution, but it is often the best one. Take care of Safari – Some methods are a matter of habit, such as regularly clearing your cache or making sure the app is up to date. Imagine your computer as a car that needs regular maintenance to run well. Don’t neglect the computer – Macs are not immune to viruses, despite the common perception. They also aren’t immune to file corruption or errors. Make sure you haven’t picked up anything unwanted while browsing that could be affecting Safari’s performance. 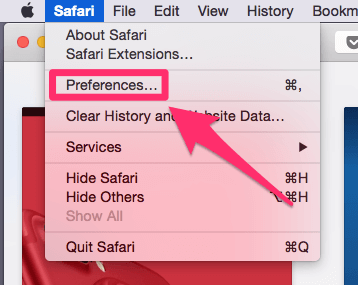 Below are some common causes directly or indirectly related to those Safari performance issues. Also, we’ll show you how to fix it step by step. The cache is a location on your Mac’s hard drive where Safari temporarily stores data that you use frequently. The cache allows Safari to reference this information quickly and therefore execute actions such as loading a specific page more quickly. However, if the cache becomes full then Safari cannot add newer, more relevant material and is forced to use slower methods to respond to your demands. 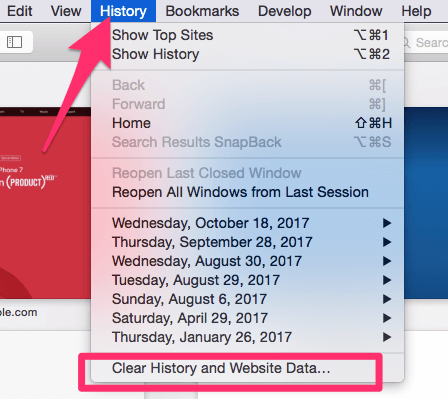 Start by erasing your history from Safari by navigating the menu bar along the top and choosing HISTORY > CLEAR HISTORY AND WEBSITE DATA. Once you click this, you’ll be shown a small pop-up window. Choose “All History” from the bottom of the drop-down, and then Clear History. The next thing you can do is clear the cache using a more advanced method. 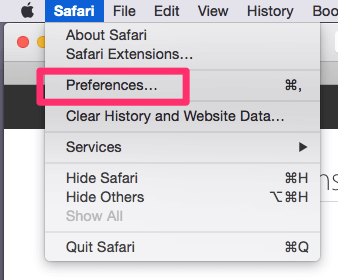 First, go the Safari menu and open Preferences. 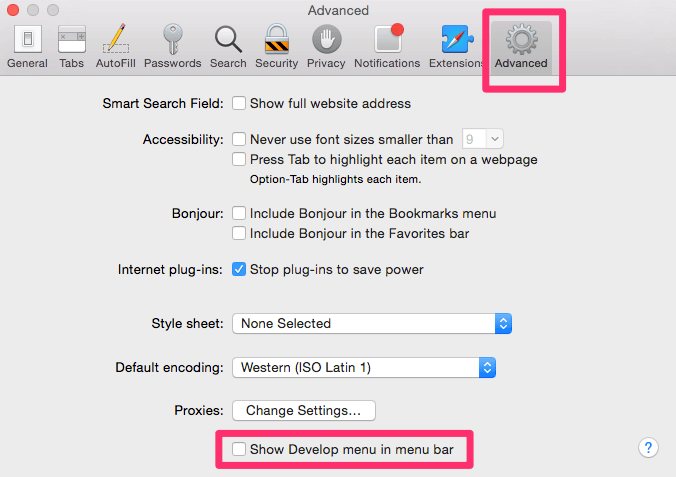 On the preferences panel, choose “Advanced” and then look for the checkbox at the bottom of the page that says “Show Develop Menu in Menu Bar”. Make sure this box is checked, then close Preferences. You’ll notice a new tab has been added to your menu bar, called “Develop”. 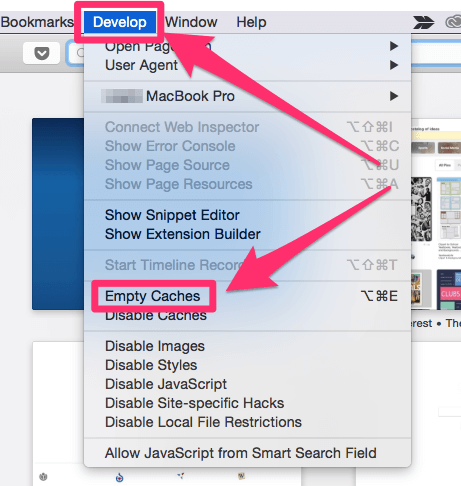 Click on this, and then choose “Empty Caches” from the list. You won’t be given any confirmation, but it will clear the cache and you can restart Safari and see if this has solved your problem. 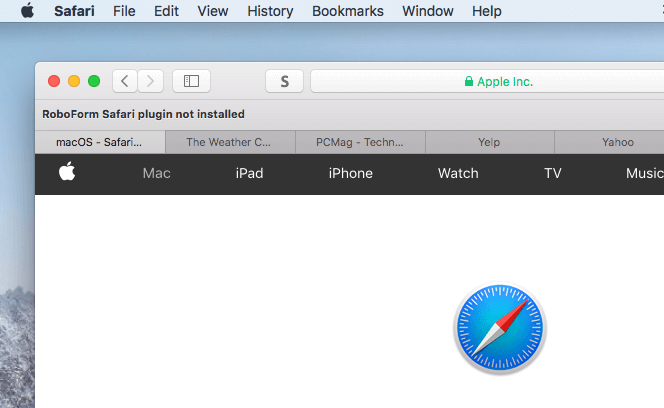 Most people are aware that Apple doesn’t play well with Flash, but this isn’t the only plugin that could be causing Safari to lag. Any extension or plugin that is outdated or not correctly optimized could be the “culprit”, and you should disable or remove as many as possible. 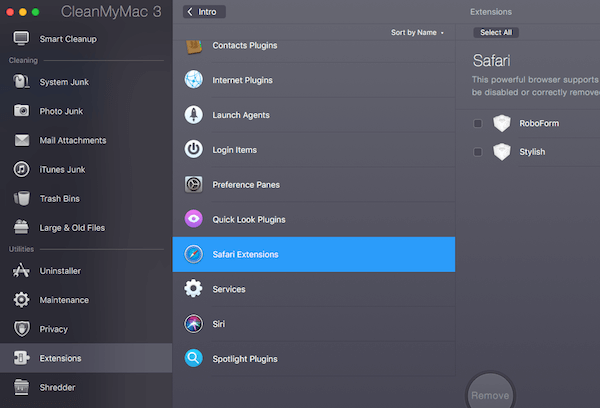 The easiest way to do this is to use CleanMyMac 3, go to Extensions > Safari Extensions (the screenshot below), here you just select these unwanted plugins, and click the “Remove” button at the bottom to clean them all at once. Of course, you can also get this done manually, though the process will be a bit time-consuming if you have a list of extensions to disable or remove. 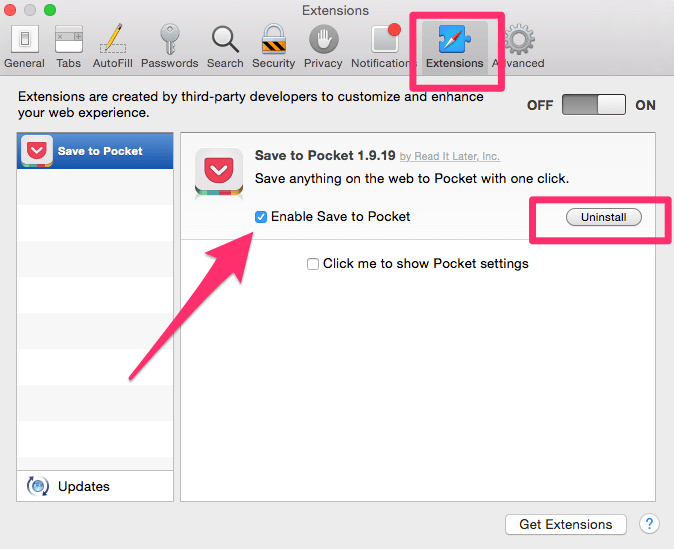 In the preferences menu, choose “EXTENSIONS” icon. You’ll be shown a list of all your extensions. If you don’t use an extension, you should uninstall it with the button on the right side. If you use it but infrequently, simply uncheck the “enable” box. This should significantly speed up Safari, especially if you have been running a lot of extensions in the background. Because Apple makes Safari, it usually receives updates when macOS has a new version released or when there is a necessary patch. If you’re running an old version of Safari, this could be part (or even all) of your problem. 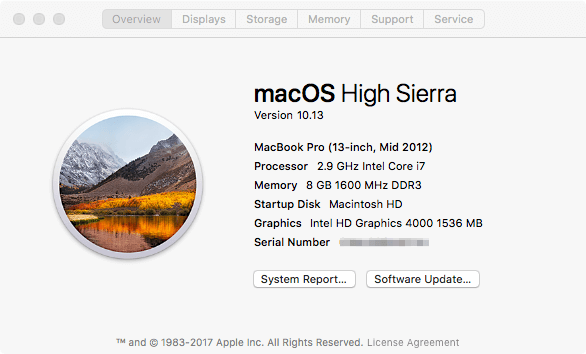 If you aren’t on macOS Sierra or higher, your Safari is definitely in need of an update (all MacBook Pros made after 2009 are compatible with at least macOS Sierra). To check what you’re running, go the Apple Menu in the top left corner and choose “About this Mac”. 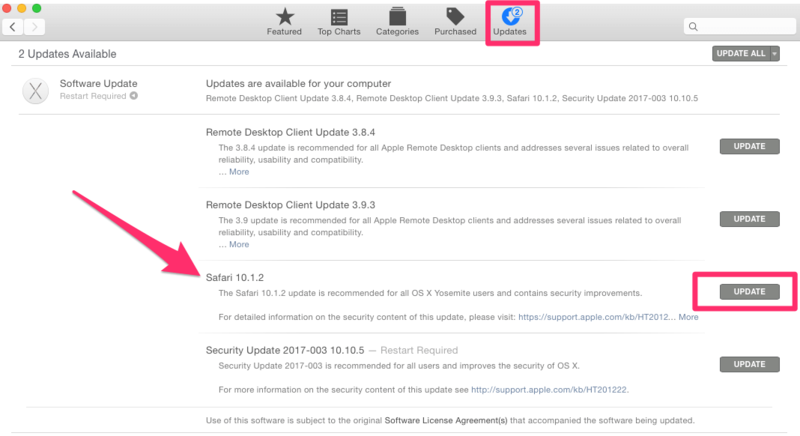 If you aren’t on macOS Sierra or macOS High Sierra, then open the App Store from Finder, and navigate to updates. There will be at least one software update available, which you can expand. This will show you the update for Safari, which you can update separately or with any other updates you may have available. You might argue that the problems inside Safari are simpler to deal with, but sometimes it’s surprising that Safari isn’t necessarily the “culprit”. Your network can have a significant impact on Safari’s performance. 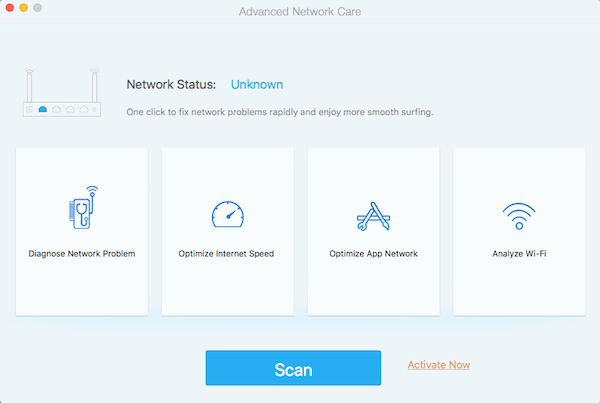 To find out whether your Mac has network issues, the best way is to use this app called Advanced Network Care — run a quick scan and it’ll display the network issues (if they exist). To test the Internet speed, you can also use Google Fiber. First, open the link on your Safari browser, then press the blue “play” button, and watch as your internet speed is tested. The site will first test your upload and then your download speed. Once you have your results, you can compare them with this link, which contains charts detailing what you should expect based the connection type. If your results are below expected, it might be time to contact your Internet Service Provider (ISP), especially if speeds fall far below what you’re paying for. Note: if speed seems normal and falls in the expected ranges, then this probably isn’t your problem, and you should try some of our other solutions. Sometimes the issue runs a bit deeper than just a full cache- you could have a corrupted user account or your macOS version isn’t operating correctly. To determine if this is your problem, start by creating a second user account on your MacBook. (APPLE > SYSTEM PREFERENCES > USERS AND GROUPS). On the new user account, open Safari and try using it as you normally would. If Safari suddenly runs faster, it’s time to repair your normal user account. 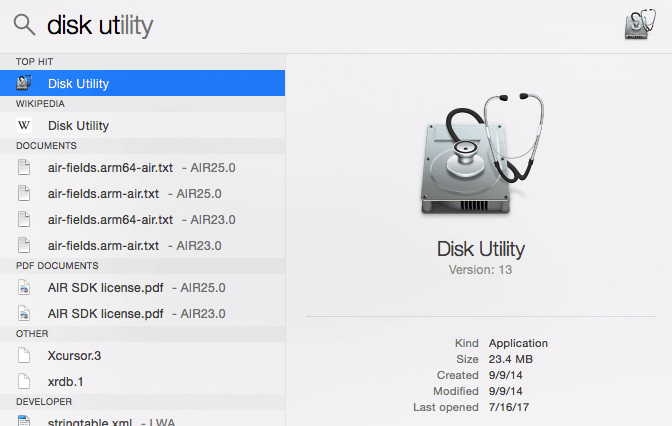 Use spotlight (top right corner of the screen) to search “Disk Utility” and open it. 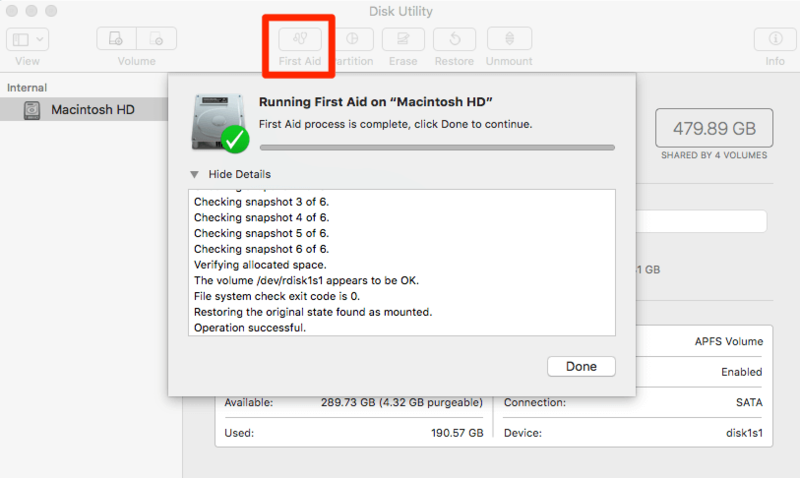 Inside Disk Utility, select your account’s disk and make sure you’re on the “First Aid” tab. Then select “Repair Disk” from the bottom right corner (if this is unavailable, choose “Verify Disk” first). 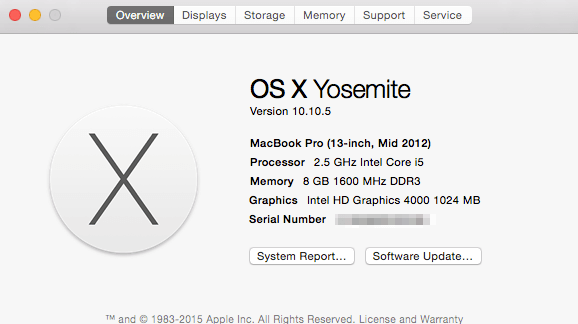 Note: if your MacBook Pro is with 10.10 Yosemite or earlier, you have two buttons to click on like below. However, if your MacBook Pro is with 10.11 El Capitan or later (including latest 10.13 High Sierra), just click “First Aid” and run it to check and fix any issues it may find. 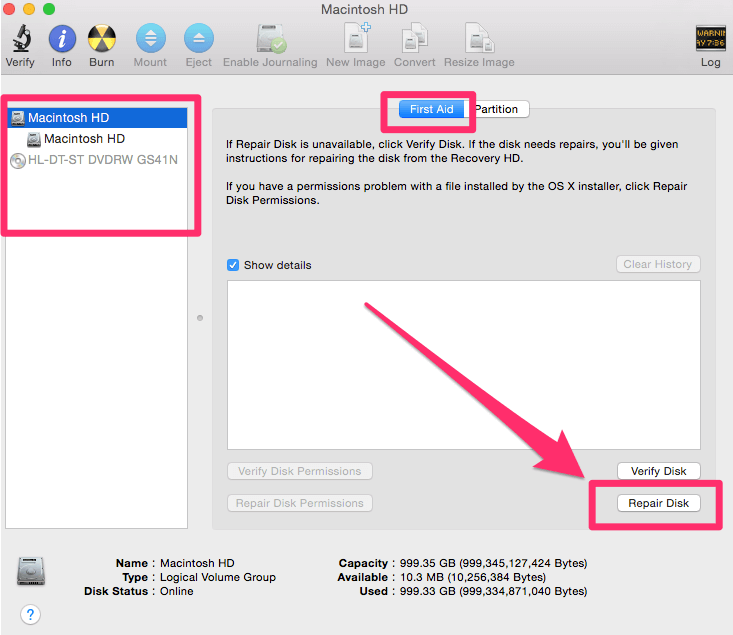 The Disk Utility will repair any problems with your account. If it isn’t capable of fixing the problem, reinstalling macOS is always an alternative if a bit tedious to do. No one enjoys staring at the colorful loading pinwheel when they just want to browse the web or access an important page for work. Hopefully, you won’t be experiencing the Safari slow issue anytime soon with our solution guide. Still not able to solve your problems even after using the methods we’ve outlined? A good resource is the Apple Community forum, where you can get advice from other fellow Mac fans. You may also find bug reports and similar questions from other users. Alternatively, if you’ve already fixed your problem, write a comment and tell us about it below. Copyright © 2019 Macbookproslow.com. As an Amazon Associate I earn from qualifying purchases.